Welcome to Inside Park City Real Estate, the best resource for every phase of owning and selling real estate in Park City, Deer Valley® Resort, Canyons and beyond. Since the early 2000’s, we’ve been providing you with not only the best place to search the Park City MLS, but countless market and lifestyle updates to keep you abreast of changes in town and in our micro-markets. Our goal? To arm you with accurate information for your investment strategy. We aren’t just Park City real estate agents, we’re Park City real estate strategists. 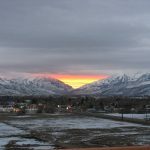 Whether you fell in love with Park City for the world class skiing, hundreds of miles of summer trails, the renowned film and music festivals, or the majestic scenery, we get it. We understand why Park City real estate is more than just an financial investment, it’s a lifestyle investment. And we’re proud to guide you every step of the way. 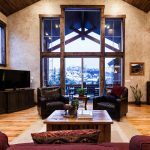 How is the Real Estate Market in Park City? What is a Lease-Option & When Does it Make Sense?